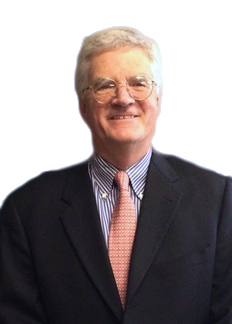 Ross E. Campbell is a partner at Hooper, Lundy & Bookman’s San Francisco office. His practice focuses on a variety of issues within administrative litigation for healthcare institutions, including matters related to medical staffs (general advice, disciplinary proceedings, litigation); consent and medical record issues; HIPAA and EMTALA issues; termination of life support; psychiatric care; and related issues. Mr. Campbell gained extensive experience in dealing with academic medical centers during his seven years of work at Stanford University from 1977 to 1984, where he served as Managing Attorney for Medical Affairs. Since going into private practice in 1984, he has focused primarily on medical staff issues for a wide variety of hospitals and health systems. The work includes counseling advice to medical staffs on issues ranging from medical staff bylaws, rules and regulations, and policies, to protections afforded to medical staff proceedings under state and federal law. He has represented medical staff in numerous disciplinary hearings and subsequent litigation. Virtually every facet of medical staff representation is covered in Ross' current practice in this area. Additionally, he does provide regular advice on discrete issues significant to hospitals and their medical staffs, such as HIPAA and EMTALA. Mr. Campbell received his B.A. from Stanford University and his J.D. degree from University of Washington School of Law.